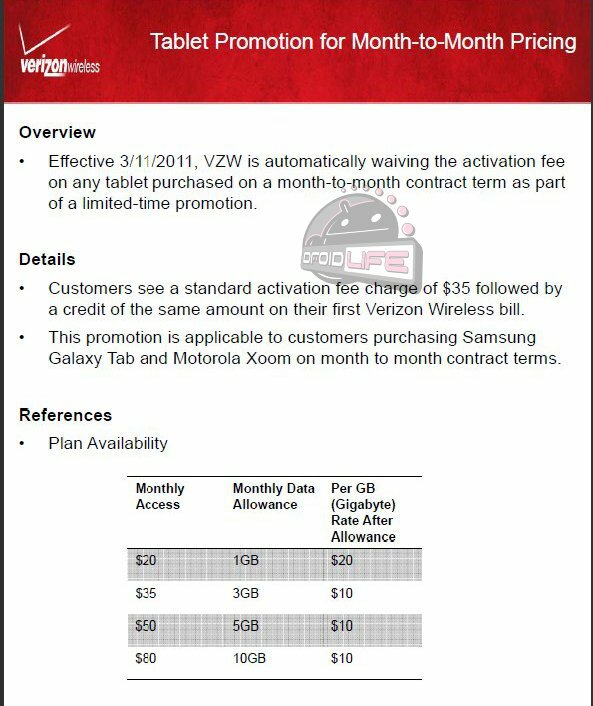 There has been a lot of talk about the lack of a $35 activation fee on the new iPad 2 from Verizon when we all know that customers looking to grab a Motorola XOOM are being forced to pay one. Doesn’t seem all that fair, right? Well Verizon it appears (at least their indirect retailers), is trying to cool the situation by waiving that activation fee for the time being. Customers who pick up the XOOM and its real tablet operating system will see a $35 activation fee on their bill, but right next to it will be a credit cancelling it out. Thanks Verizon.